“Dynamic Flash” – Ensembles – Download – Symphony. Install this ensemble and use Symphony to manage your Flash content. This ensemble is provided by Silex Labs. 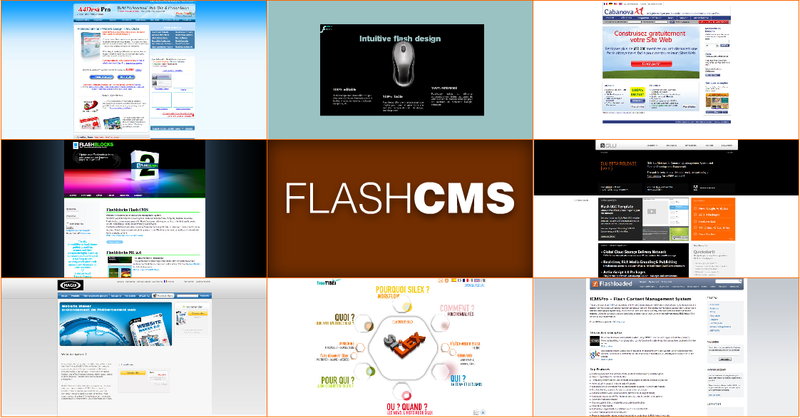 It is targeting Flash developers and Silex designers. Login in Symphony as admin and you can define new structures which will generate forms to be filled by the user in user mode. The user logs in as a user and he can create lists of objects with these structures. For example, we included a structure called "gallery element", so that the user mode lets you create new elements for a galery, with a name, description and a file upload form. What is the difference between a Silex theme and a Silex template? The theme is a Silex publication - usually a web site, which is filled with dummy content. 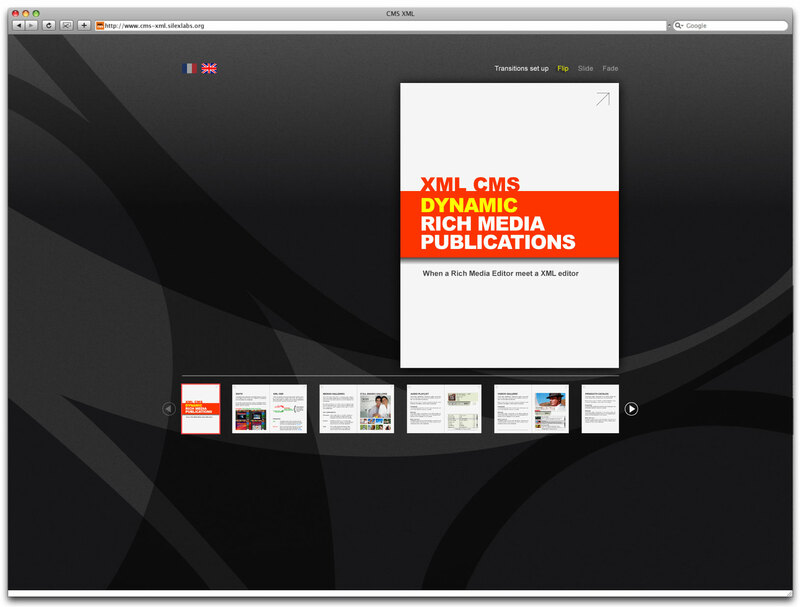 What we call a Silex template, or "dynamic theme" is a publication with content coming from an external source. What is Silex Labs exchange platform? The exchange platform is accessible at http://exchange.silexlabs.org/ and contains Silex elements to download: themes, plugins, fonts, language files, animation layouts, tools, loaders and dynamic templates. It also contains amfPHP plugins and services, and Oof components - these are other projects of Silex Labs. It is a WordPress powered platform, which means, a WordPress blog with the "exchange platform" plugin for WordPress installed - http://wordpress.org/extend/plugins/exchange-platform/ . This plugin is open source, developed by Silex Labs and make it easy for anyone to post elements for the different projects. It handles dependencies between plugins, themes, etc. and versions. What is an accessor in Silex? In Silex, an accessor is a variable accessible to the designers in the visual editing tools. It can be manipulated visually and it is replaced by its value at runtime. This value usually comes form an external source. Your version of Silex is: <<silex.config.version>> On the stage, I will see "Your version of Silex is 1.6.1RC1", but in the text editor, I see the accessor. And also I can format the accessor and the text field, it will be kept when the value will be changed. What is a Silex+Symphony template? It is a pair of 1 symphony ensemble + 1 corresponding Silex theme. The symphony ensemble produces the XML feeds awaited by the Silex theme and it contains with a website made in Symphony to administrate the content in a user friendly interface, a back end specifically made to drive the Silex templates. The ensemble is packaged as a Silex plugin called "Symphony back end". This means that there is a php file to describe the plugin, and the Symphony ensemble which contains the dummy content and the back end. How are the templates will be distributed? Each template can be used out of the box. 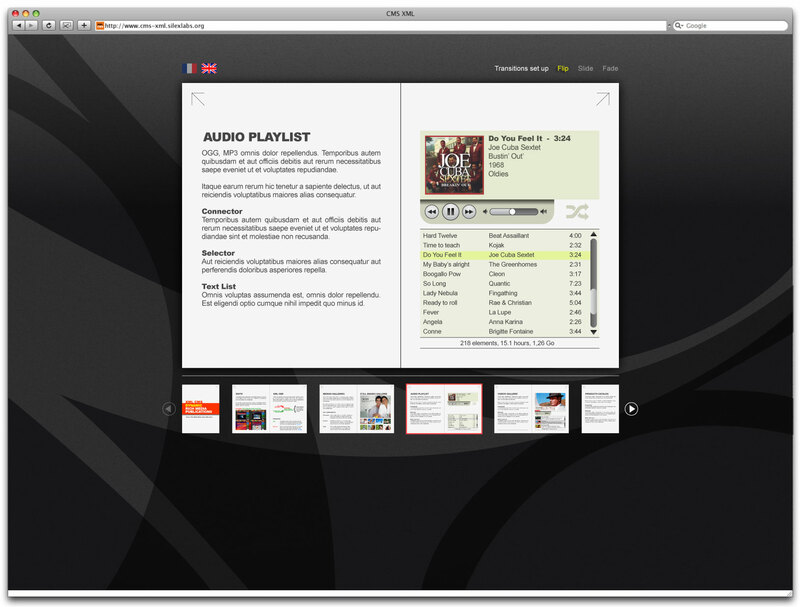 Once Silex and Symphony are installed, it shows a dummy content in the template. 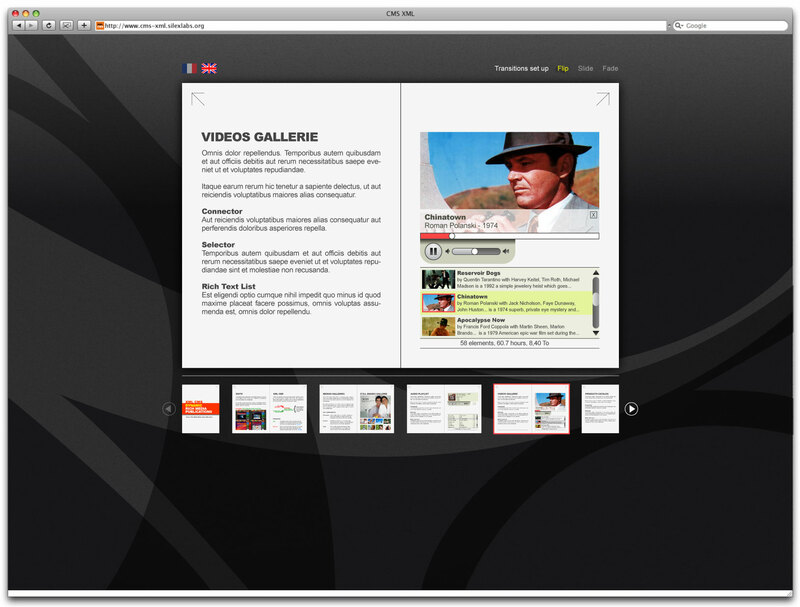 The user can enter the admin site to manage the content, or Silex WYSIWYG to edit the design.